Statesman's Signature Bi-Fold Window creates a moving single or double glazed glass wall that opens up the interior of the home to the outside, providing unobstructed views, natural light & ventilation. 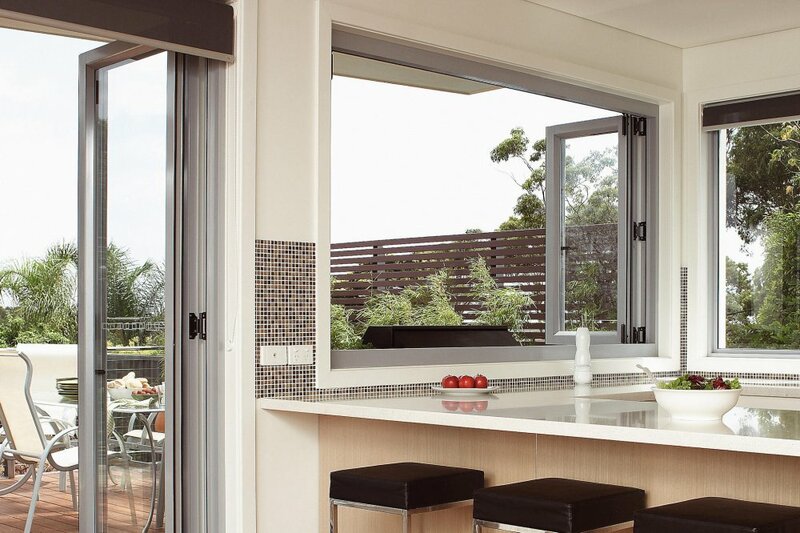 The bi-fold window is ideal in servery situations between the kitchen & outside entertainment area. 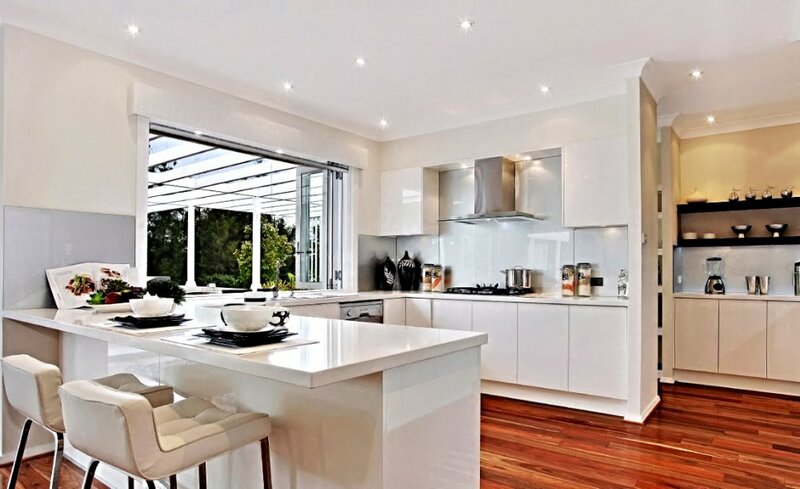 A choice of left, right or both sided opening directions allows the selection of a layout to suit your home. The bi-fold window can also be used without a sill, utilising top hung panels & a sill channel. (note: no sill option will not seal out the weather) The outboard track system allows easy cleaning and the low force sliding system provides maximum performance. The patented torsional blocking ensures the bi-fold system retains its shape, without sagging or jamming.